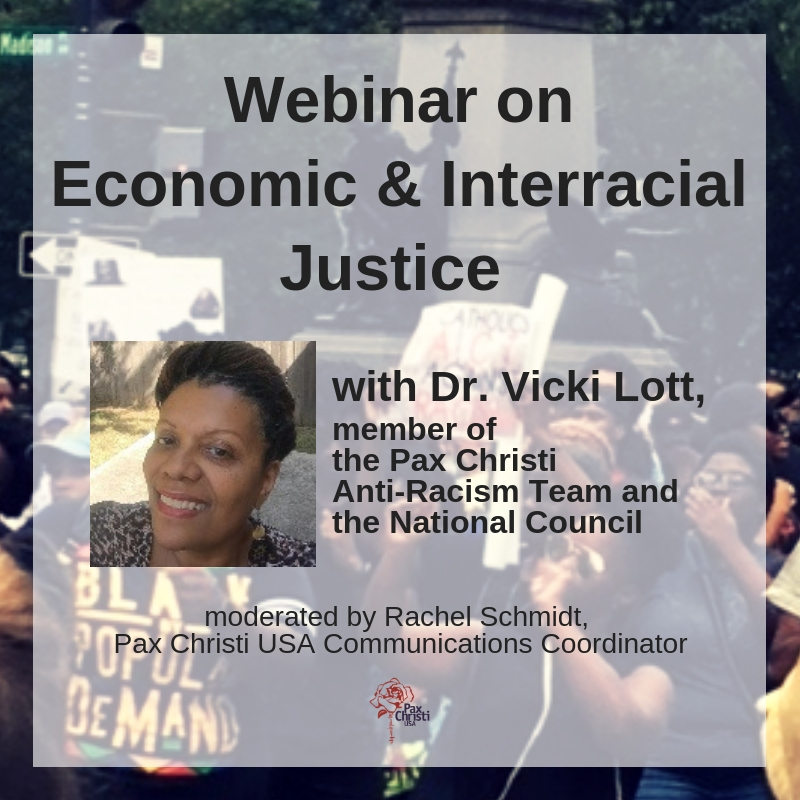 Boston MA – Catholic Democrats, Catholics in Alliance for the Common Good and Pax Christi USA are calling for a national faith-based conversation on racial justice. “The Civil rights Movement of the 1960s was rooted in faith”, said Sr. Patricia Chappell, Executive Director of Pax Christi USA. “There was a new Pentecost in the African American community that gave meaning to the hope Rev. King’s words, ‘I have a dream.’ Society has made progress, but we are languishing. Today faith based communities need to provide the prophetic leadership – that only they can – on the issues of racism poverty and militarism. It is our hope that our Catholic community, along with other faith traditions, be willing to hold open meetings in their respective Congregations, creating safe spaces for people to share their hopes about racial justice and the creation of the Beloved community in which are welcome. On Sunday, in commemoration of the 50th Anniversary of the March on Washington for Jobs and Justice, the groups co-sponsored A Catholic Conversation on Race, Religion and the March on Washington at Holy Redeemer Catholic Church, who hosted the event. Sunday’s event was preceded by Mass, A Celebration of Peace and Justice, at which Holy Redeemer’s pastor, Fr. David A. Bava, gave a homily on racial reconciliation. Sr. Chappell and the U.S. Secretary of Labor, the Honorable Thomas Perez, a parishioner at Holy Redeemer, participated on the panel along with John Carr: the Director of the Initiative on Catholic Social Thought & Public Life at Georgetown University and Donna Toliver Grimes: Assistant Director for African American Affairs, USCCB. The discussion was moderated by Ralph McCloud, the director of the Catholic Campaign for Human Development and opening and closing remarks were offered by Monsignor Ray East, the pastor of St. Teresa of Avila Catholic Church in Washington. A video tape of A Catholic Conversation… in its entirety will be released this week. A number of reports published recently have demonstrated that the work of the 1963 March on Washington remains unfinished; among those studies include an Economic Policy Institute report, The Unfinished March by Algernon Austin. Yea, Patty. Keep right on going. Beautiful opening remarks. Glad to see you there with all the other panelists.